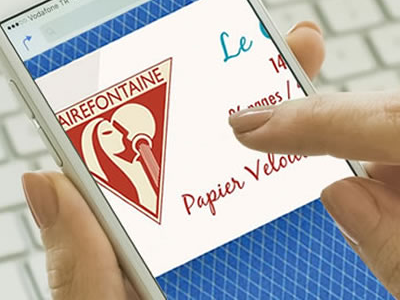 Clairefontaine is a French paper manufacturer that is renowned for its fine quality notebooks and fine art supplies. Best known for making the first school notebooks in France, Clairefontaine has been manufacturing paper since 1858 and notebooks since 1890. 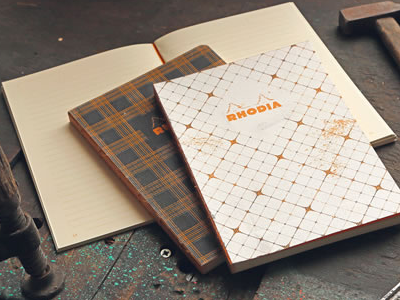 Rhodia pads and notebooks are a favorite of artists, designers, calligraphers and others for notes, journaling, sketching and hand drafting. People love them for their grids, smooth paper & iconic cover. Quo Vadis is well known for its superior quality planners, diaries and notebooks. Habana notebooks are a favorite of fountain pen aficionados. Our planners feature lots of room to write – plan and take notes all in one place. Herbin is the oldest name in ink production in the world. The company was founded in Paris in 1670, by Jacques Herbin, a sailor. From his many voyages to India he returned with special formulas for sealing wax and inks. 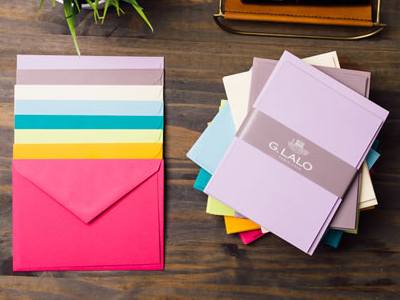 G. Lalo is a small personal stationery maker, preserving its Parisian identity and "bon gout Francais" -- the quintessence of sophistication and elegance. Founded in 1850, Brause manufactures steel nibs for writing, drawing and decorating. Brause calligraphy nibs are considered by many calligraphers and lettering artists to be among the best on the market. Exacompta is well known throughout Europe for its extensive range of office supplies and business stationery. 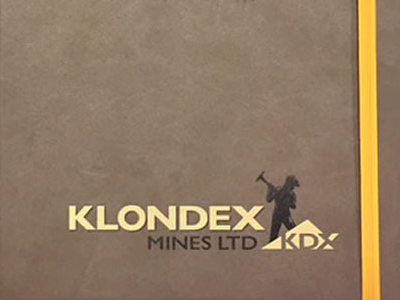 Exacompta agendas are sought after for their smooth paper and monthly planning features. Avenue Mandarine is a young French brand offering a range of fun, educational activities and games with cool, contemporary colors and designs. Avenue Mandarine products encourage creativity and skill development in children ages 2-8. Decopatch makes over 200 designs of decoupage paper based on French fashions and textiles. Their papier mache figurines, masks and decorations are very popular with crafters.